Information about Monterey Peninsula Real Estate including new MLS Real Estate Listings by the Monterey Peninsula Home Team. You will see posts about Monterey Peninsula cities including Monterey, Pacific Grove, Pebble Beach, Carmel, Carmel Valley, Seaside, Marina and the HWY 68 Corridor. These posts will have stories and information about local issues including real estate, news, and other helpful information, plus anything else we want to write about ;-). Why is working with a real estate team like ours more advantageous than working with a solo agent in our marketplace? The main reason is simple: We have many individuals working together to give our clients the best service possible. When you work with a team, you get the expertise of more than one agent. Multiple minds mean multiple levels of experience and multiple levels of assistance. For the same price of working with an individual agent, you get the services of an entire team, and someone is always available to help you. We have nine other agents in our office, so if one of us is on vacation or has to deal with an emergency, someone else is always there to pick up the phone. That’s not always the case with an individual agent. The advantages of working with a team manifest themselves in ways that are equally beneficial to buyers and sellers. For example, when we decide to help a seller list their home, we first look at the property with the owner and then go back to our team and start doing our homework. When we have that many experienced voices working together, we can be more precise in finding the perfect comps for that property so we can price it to sell. On the other side, if one of us brings a new listing to the table, odds are someone else on the team has the perfect buyer for it. Our buyers have the opportunity to see available homes before they even hit the market. If you’d like to talk more in depth about what a team like ours can do for you that solo agents can’t, feel free to give us a call. If you have any other real estate questions or you’re thinking of buying or selling a home, don’t hesitate to reach out to us as well. We’d love to help you. The voyage that devoted Doris Day fans make to the village of Carmel-by-the-Sea every spring in celebration of the beloved actress’s birthday occurred again this year. In late March, the Doris Day Animal Foundation kicked off the 3-day weekend of events leading up to Day’s birthday in April. The celebration included a VIP reception at the Cypress Inn, which included TV host and personality Peter Marshall (perhaps best known as the original host of The Hollywood Squares) along with impressionist Rich Little. Jackie Joseph, Day’s co-star in the 1960s-70s television show “The Doris Day Show” and jazz vocalist Karen Oberlin also performed for those in attendance, many of whom traveled from across the globe to honor the beloved actress. The celebration honoring Day’s birthday has grown over the years but really became a celebration for her fans and locals in 2014. Day, who lives at Quail Lodge and rarely attends the birthday event, turned 97 on April 3rd. 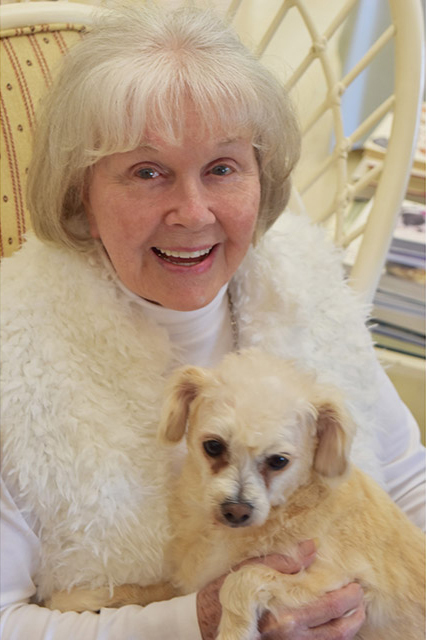 Day has been a Carmel resident for over 40 years and is widely credited with making the town more dog-friendly and setting the same trend for other towns. Price said this year’s three-day event is the biggest yet in terms of the number of entertainers that have come out to celebrate Day and support the Doris Day Animal Foundation. On Friday, Turner Classic Movies primetime host Ben Mankiewicz introduced the 60th-anniversary screening of one of Day’s most popular films “Pillow Talk” followed by a Q&A, which featured Day’s co-stars throughout the years. A live auction followed. Saturday evening featured performances by Little and Ambassador of the American Songbook Michael Feinstein. “I’ve been really excited to be part and parcel of this for a long time,” said the 93-year old Marshall, who was accompanied by his wife Laurie and a canine friend at the Cypress Inn Thursday. Marshall’s history with Day goes back as far as the early ‘40s when Day performed with bandleader Les Brown. Marshall appeared in the 1951 film “Starlift” that starred Day. Singer/entertainer Scott Dreier, who has performed at Day’s past birthday bashes and whose entire show “Doris and Me” pays tribute to the actress/singer’s career, was also at the Cypress Inn. “Whether it was dancing with Gene Nelson, comedy with Rock Hudson or doing serious scenes with Jimmy Stewart, everything she did was so real,” said Dreier. This year, as in years past, it was her less public fans that made up the events’ biggest presence. Thursday’s reception had 150 attendees while Friday’s screening and Q&A were sold out with 350 and Saturday with 300. “I’ve loved Doris Day all my life,” said Heidi Addison, through her thick Scottish brogue. That’s while artist/journalist/producer Danny Proctor traveled all the way from Nashville for the festivities. “I’ve always wanted to meet her,” said Proctor. Joseph, now in her 80s tries to come to the event as often as she’s able. For his part, Little recalled working with Day some 40 years back and said he hadn’t seen her since, noting his sadness about that and hopes he eventually would. Still, Price said Day appreciates and cherishes every single fan and expression of appreciation. “She reads every letter and every card, even if she can’t answer them all,” said Price. “The outpouring of love she receives from around the world is truly amazing. Call Mark Bruno with the Monterey Peninsula Home Team to see inside this property at (831) 917-8190. 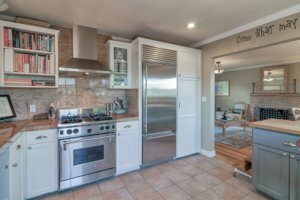 Not only are you are going to love this impeccably Pacific Grove home for sale but you are going to love its fabulous location too! The new owners of 1130 Balboa will enjoy all Pacific Grove has to offer including strolls along Pacific Grove’s beautiful shoreline and even walk to downtown Pacific Grove shopping and restaurants. Even the Pacific Grove Golf Course is just a few blocks away, making 1130 Balboa one of the best locations in all of Pacific Grove! Not only can you smell the ocean from this location, but you can also hear the surf and, on occasion, the Point Pinos bell buoy ringing in the distance! 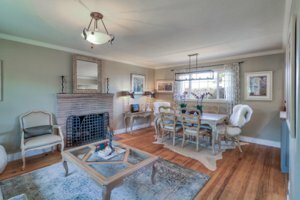 The single level residence is open and modern inside but feels cozy with crown molding, the original real oak hardwood floors and a large fireplace to take the chill out of a foggy Pacific Grove evening. At approximately 1100 square feet, this 3 bedrooms, 1 bathroom home has been extensively remodeled and is in move in condition. 1130 Balboa has a classic Pacific Grove Beach Tract layout, and as such, this home wastes no space. The living and dining rooms are flanked on either end with large windows allowing plenty of natural light. The remodeled kitchen is functional in its layout and is open to the dining and living rooms. It features top name appliances including a Wolf Range, a Sub Zero refrigerator and a Miele dishwasher. Shaker style cabinets, granite and wood countertops and granite backsplashes finish out this functional kitchen. There are two nice sized bedrooms at the end of the hall with crown molding and hardwood floors, plus what could be a third bedroom currently set up as a den. The bathroom has been remodeled an updated vanity with tile countertops and a shower over tub with tile walls. There is even crown molding to finish off the ceilings. The impeccable yard has been beautifully landscaped with lush, mature plants, great flow, and includes paver walkways and a paver driveway. In addition, there is a hot tub, BBQ area, and plenty of space to entertain or just lounge around. 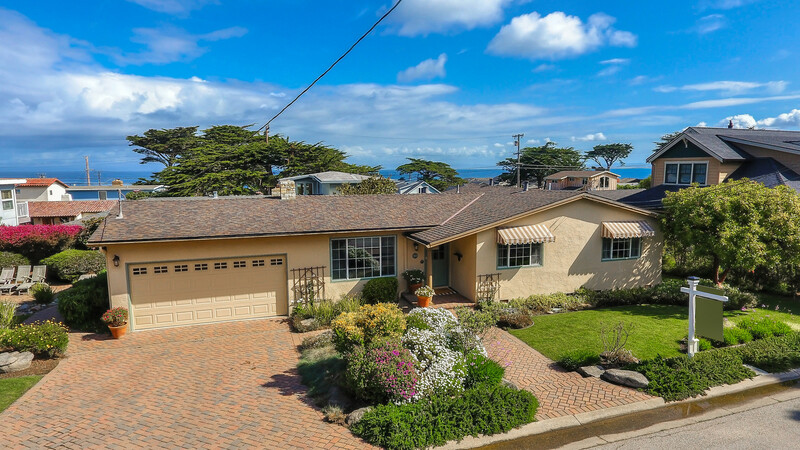 Click here to see additional images of this Pacific Grove Home for sale. The Pacific Grove Beach Tract neighborhood started to take form in the late 1920s after most of the Old Retreat area was developed. Del Monte Property Company owner S. F. B. Morse thought it would be easier to sell the neighborhood if it had a golf course built right through the middle of it. H. Chandler Egan who worked closely with the now famous golf course Architect Alister Mackenzie on the redesign of Pebble Beach Golf Links was chosen to design and oversee the construction of the then 9-hole Pacific Grove Golf Course. The course opened in 1932 as the Great Depression took hold of the Nation. It would take 30 years before the second 9 holes, the ocean side 9, would be constructed along the Pacific Grove coastline. The majority of the Pacific Grove Beach Tract real estate was built in the 1950s and 1960s. There are also many newer construction homes as well as major remodels in this area of Pacific Grove. Real estate here is very eclectic like most of Pacific Grove and it is not uncommon to see a relatively new 3000 square foot home sitting next to a 1950’s mid-century modern home with a flat tar and gravel roof! This is part of the areas charm. As a matter of fact, Pacific Grove considers any home that is over 50 years old to potentially be a historical home. 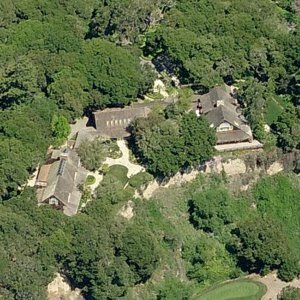 Search all Pacific Grove real estate for sale? Celebrating its second anniversary, ArtWorks, the collaborative for local painters, designers and sculptors has not only nurtured its own artistic community but spawned studios outside of its 7,500 square-feet of warehouse retail space. 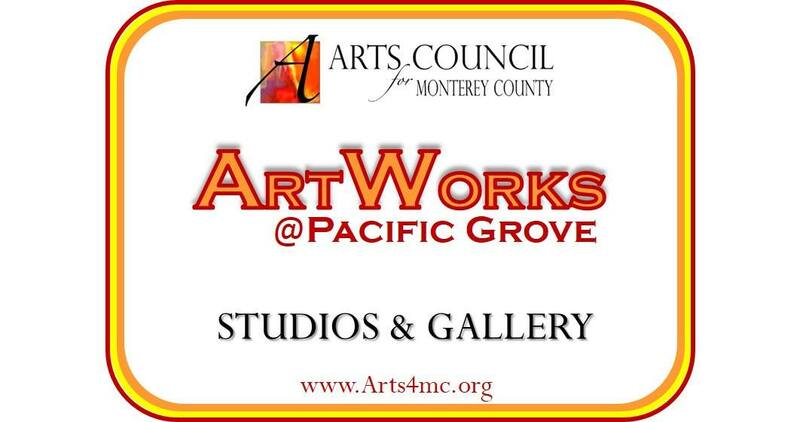 Located inside Pacific Grove’s American Tin Cannery Outlets, the art studio/gallery displays works ranging from oil-on-canvas to mixed media collage. It has become a haven for both life-long artists and novices needing a space to create and showcase their wares. Having ArtWorks is what kick-started artist Bryan Gage’s fine arts career. Gage, 33, an “urban decay” artist describes his art as a “mixture of different styles.” While the former industrial designer started out with a space at ArtWorks, it took off so well he’s been able to open his own studio downstairs in the outlet mall. He’s concerned what will happen if the building eventually becomes a hotel and displaces he and his fellow artists. Like the other artists there, Gage has become accustomed to the echoing noises common to the old cannery-turned-indoor mall, which often includes crying children tired of shopping or waiting to eat at First Awakenings or Zoltar, the all-knowing animatronic fortuneteller beckoning patrons outside of Candy World on the mall’s main floor. 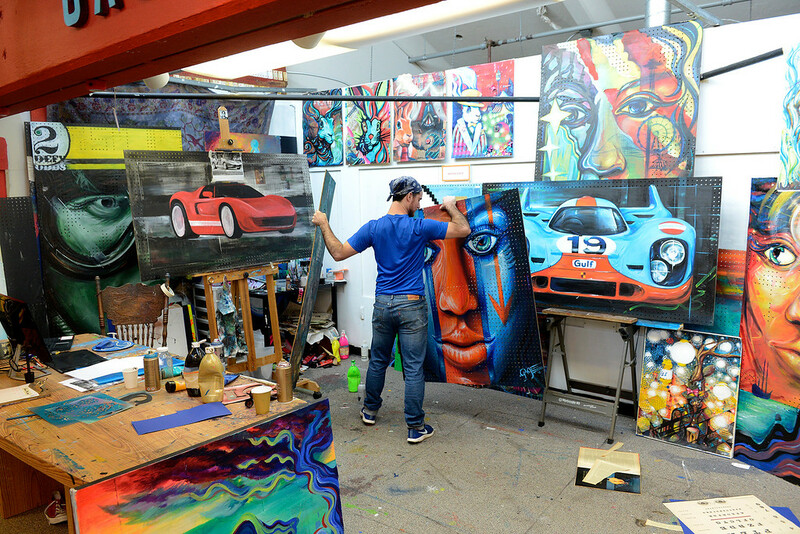 “Especially being a fine artist in an expensive area like this, ArtWorks and this space was paramount to getting me started,” said Gage, who grew up in Pacific Grove but left for years to study automotive design in England. It was in April of 2017 that Jacquie Atchison, deputy director of the Arts Council for Monterey County, approached Foursome Development and the Cannery Row Co. (the owner of the building) with the idea to lease the space until hotel construction on the then-proposed Project Bella hotel would begin. But even after the project ultimately fell through, the collaborative has remained and really developed its community. Then late last year, Comstock, a residential and commercial development company with properties in both Southern and Northern California, expressed potential plans to build a hotel on the site at 125 Ocean View Blvd. Whether it’s that development or another that could eventually take over the building, Atchison said the Arts Council ultimately wants a lasting place for artists to develop their craft. Currently, the space accommodates 16 artists. It has offered a Maker Art Faire, workshops, summer art classes and has an Arts Habitat Mixer planned for later this year. “We would like a more permanent space since we don't know when they will start on the hotel,” said Atchison. “We'd like to provide more private, professional individual studios with a small gallery.” She’d also like to expand with collaboratives in other cities like Salinas and Seaside. Still, Artworks current artists, who are charged monthly rent at a rate of 50 to 75 cents per square foot for their space ranging from 100 to 400 square feet, just continue working on the art they love to create. “It’s been really nice watching each artist and how they work and how they’re improving and expanding,” said Julie Franklin, who teaches Mandala workshops and incorporates symbols and symmetry in her mixed media works. For retired nurse Nancy Donaldson who spent 50 years in the medical field and is now fueling her passion for photography and mixed media collage, it’s about having the experience of being surrounded by career artists. She too is concerned about losing the space. That’s while ArtWorks has allowed Stacey Ashton, a behavioral therapist in Pacific Grove and self-taught oil painter of both floral and portrait pieces, to branch out into artistic pursuits that are satisfying to her soul. As one of the first tenants, Ashton recalled at one point being lonely enough in the ArtWorks space that the repetitive Zoltar and his fortune-telling promises kept her company. “I love him,” she quipped. But for Paul Seftel, whose original abstract paintings inspired by forces of nature are featured inside his own spacious studio at the American Tin Cannery, the community needs to take the arts more seriously. Seftel’s pieces cost from $1,000 to 18,000 and have gained a substantial following. Despite the paint buckets placed strategically around his studio, catching water from leaks caused by all the recent rains, Seftel is still appreciative to be there. For her part, Atchison keeps things running and has enjoyed witnessing the bonding between artists. “It’s great to see the artists working together,” she said. And for the artists, they just want a community in which to keep creating. This year’s Pebble Beach Concours raised a record $2 million in charitable giving. That was the tally announced by Pebble Beach Company CEO Bill Perocchi at a celebrity luncheon in mid-November. Perocci said that the $2,112,980 that was raised and is being distributed to local charities is up from the $1,900,461 raised in 2015. Through its primary charitable partner, Pebble Beach Company Foundation, Concours funds support more than 80 local nonprofit organizations, many of which focus on youth education, particularly literacy. “These nonprofits help us put each dollar where it will have the most benefit, and as a result, are directly impacting our region for the better,” said Perocchi, noting that The Foundation believes education changes lives and that all children deserve access to exceptional educational opportunities. Since its founding in 1950, the Concours has now raised more than $27 million in charitable donations that go to local charities. Charities that benefit directly include Montage Health and the Salinas Valley Memorial Hospital Foundation, the Boys & Girls Clubs of Monterey County, the Natividad Foundation, the Kinship Center and United Way Monterey County. Efforts to raise charitable donations for the 2019 Concours, which is scheduled for Sunday, Aug. 18 and will feature centennial celebrations for Bentley and Zagato are already underway. It will take place during the 100-year anniversary of Pebble Beach. An ordinance banning the use of plastic straws and other single-use plastics at all food service establishments within Monterey was passed unanimously by the City Council in late November. The new legislation, which will go into effect on Earth Day, April 22, includes plastic beverage straws, utensils, stirrers, and cup lids and requires these products to be biodegradable, compostable or recyclable. The policy’s intention is to significantly reduce the amount of plastic waste in the environment as well as to begin to address the growing challenge of the diminishing amount of types of materials that can be recycled. “It’s a way forward to continue to reduce plastic consumption as well as pollution,” said Kim Cole, the City’s community development director. Representatives from the Monterey Bay Aquarium, Surfrider and Save the Whales have come out in support of the ordinance that bolsters the city’s already strict single-use disposable plastic laws in place. “What’s happening – particularly in coastal cities – is that they are learning from each other and beginning to follow the lead of cities like Carmel and Monterey … it only makes sense that we protect our pristine coastline,” said Barbara Meister, public affairs director for the Monterey Bay Aquarium. According to a recent report prepared by the Aquarium staff, almost nine million tons of plastic enters the ocean each year. Plastic input into the ocean is expected to double by 2025. Currently, many plastic materials aren’t recyclable and therefore have to be compostable. Meister said, “The nuance about the word ‘recyclable’ is that items like straws, stirrers, utensils-to-go or coffee lids are not because they are too small.” She also noted that in general, recycling markets such as China are changing and in the case of Monterey, ‘recyclable’ refers to those items that Monterey Disposal is able to recycle. At last week’s meeting, there was also a presence from members of the disabled community who rely on plastic straws to help them function more independently. Cole said the new amendment will include an exemption for individuals with a self-identified disability. “It was the most significant issue discussed with quite a few representatives from that community concerned about the need for plastic straws. So if a person requests a plastic straw with their own self-identified disability, the restaurant will be required to provide one,” said Cole. 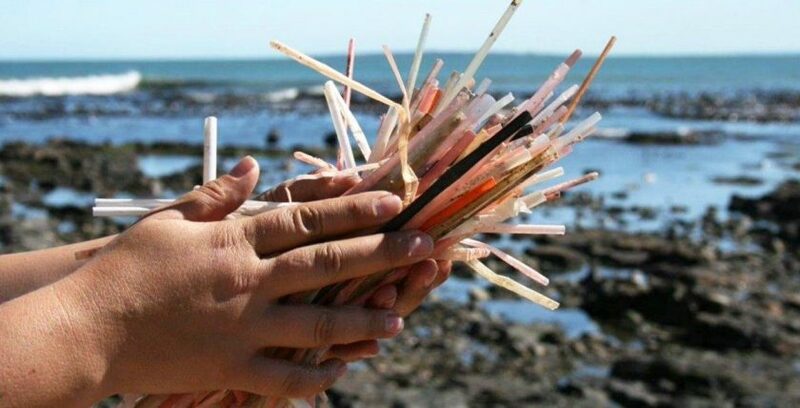 It was in June the Monterey Fisherman’s Wharf Association announced that upward of 20 food establishments (including both restaurants and fish markets) would be participating in a plastic straw ban. Moving forward, the establishments would be using paper or reusable straws. That was after city officials sent out notices to restaurants letting them know of a potential citywide plastic straw ban. Ted Terrazas, the city’s sustainability coordinator, had worked with other community officials like Meister to incorporate community and business input into the proposed and recently passed the ordinance. Terrasas has previously explained that due to changes in global markets, recycling some plastic items that used to be done routinely has become more difficult. Currently, eight cities have similar plastic bans including Carmel, Santa Cruz, and Manhattan Beach. Also last week, on the same day that Monterey’s City Council passed its new ordinance, the Santa Cruz County Board of Supervisors banned single-use plastic amenities in hotel rooms and vacation rentals. With the recent unveiling of Pebble Beach Resort’s new Visitor’s Center, the intention was not only to share the resort’s storied 100-year history to today’s golfers and visitors but also to showcase it to those attending this June’s U.S. Open Golf Championship. The approximately $10-million facility’s ribbon cutting also symbolized the formal kick-off of the resort’s 2019 Centennial Celebration. “The year 2019 is a special one for our company with the Open and the Centennial and it’s also the 20th anniversary of our current ownership group,” said CEO Bill Perocchi, before the crowd of approximately 200 that included guests and officials from the United States Golf Association, Pebble Beach Resorts and cities across the Peninsula. But the new 8,000-square-foot Visitor Center located across from the Pebble Beach Lodge that features 25 exhibits, many ceiling to wall displays highlighting iconic scenes from the resort’s history, was really just an introduction to the resort’s preparations. As the 119th U.S. Open Championship draws closer to the June 10-16 event, a renovation that has been taking place for the last 20 years on all 454 of resort’s rooms and the new Fairway One complex is complete. The renovation of four of the course’s greens has also taken place. More recently, leading up to the actual Open, fairways are in the process of being narrowed. It’s the sixth U.S. Open to be held at Pebble Beach, and it is that much more special because of the 100th year anniversary of the course. Pebble Beach Co. President David Stivers emphasized how much larger the U.S. Open is in scope to the annual AT&T Pebble Beach Pro-Am, with over 220,000 spectators expected for the week and roughly 40,000 a day on one golf course. In reality, Perocchi noted all of the planning and preparation for the upcoming Open began long ago. “We started planning for this event the day after (the 2010 U.S. Open at Pebble) was over,” he said, noting that executive RJ Harper, who was instrumental in golf operations at Pebble Beach before dying in 2017, would be the 2019 U.S. Open’s honorary chairman. Now, with approximately four and a half months to go, Stivers points out the resort’s recent and current undertakings, which include the building of venue infrastructure and sales and marketing efforts. “They’re subtle improvements,” said Stivers, noting that last November, the process to make the course’s fairways approximately 30 percent narrower also began. Archival photographs were used to gather information about what the course looked like back in the 1920s and ’30s while state-of-the-art techniques were also used to refine the course to specifications of the USGA, which oversees the tournament. Stivers said the USGA wants to bring the ocean into play more, so there will be very little rough along the cliff’s edge. “For this golf course, it’s a tough challenge already – the average green is 3,500 square feet – some of the smallest greens they’re going to play in a given year so there’s really not a whole lot more we can do for the world’s best players,” said Eric Steimer, senior manager of U.S. Open Championships. Steimer is part of “the boots on the ground” team of five who have worked with Pebble Beach on what will go on “outside the rope lines.” That includes working with law enforcement and other agencies to try to control the impact of the event on local residents. Needed infrastructure build-out (tents and grandstands) will start in March at the Peter Hay Golf Course and then be transported to Pebble Beach Golf Links for the event – what Steimer said is a seven-day build-out process to get the vendors on site. “In earnest, it all begins three months before the Championship,” he said. Stivers said the number of grandstands will basically be the same as in 2010. Parking will once again be at CSU Monterey Bay on the site of the former Fort Ord property with visitors bused in while the cities of Monterey, Pacific Grove and Carmel are expected to offer their own shuttle services. The U.S. Open is expected to fill up most hotels in the community. June’s U.S. Open corporate hospitality presence will be different than in 2010. The Trophy Club, a main vendor that’s associated with an upgraded ticket featuring an air-conditioned sports bar-like setting and indoor/outdoor patio will be located between the second and third fairways, a short walk from the 17th and 18th holes. In 2010, it was located on the Peter Hay Golf Course, which company officials determined was too far away from the golfing action. More venues have been added because of the greater interest from businesses. In 2010, many were suffering from the recession. Stivers explained that in these final days leading up to the event the emphasis is on sales and the different ticket packages available at usga.org. Steimer, in particular, noted the Centennial Club, an all-inclusive ticket providing fans access to the championship grounds and the Lodge at Pebble Beach in celebration of the resort’s 100th anniversary. While Stivers recognized the dedicated team of about eight employees spending 100 percent of their time just on U.S. Open preparations, he also noted the 750 temporary employees hired on for the Open week and the 5,500 volunteers who do everything from managing concessions to helping in retail endeavors and directing traffic. Currently, there’s a volunteer waiting list. “Both for the AT&T and U.S. Open, those events couldn’t be put on without the generous support of all the volunteers,” said Stivers, noting that many travel from all around the country to participate. “It’s a critical part,” he said looking back to prior championship tournaments. There have been 78 USGA Championships at Pebble Beach, with more on the horizon. Scheduled in 2023 is the U.S. Women’s Open Championship and in 2027, another U.S. Open Championship. Pebble Beach had hosted the tournament in 2010, 2000, 1992, 1982 and 1972. Graeme McDowell shot even par to win the U.S. Open the last time it was in Pebble Beach in 2010. Brooks Koepka won the 2018 U.S Open at Shinnecock Hills on Long Island shooting 1-over par. Steimer predicts this year’s U.S. Open winner — Koepka is going for his third straight title — will be a player with the mental and physical resolve to not get lost in Pebble Beach’s picturesque setting, which often presents its share of weather-related elements. In 2000, the tournament dealt with fog delays. He also noted that historically the Open has infused over $120 million into the regional economy. Besides that, both Pebble Beach and USGA management intend for the event to be extra memorable in light of the iconic course’s Centennial landmark. 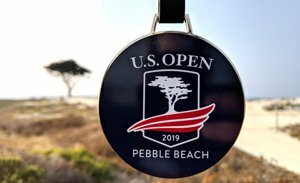 “People coming to the Championship – they’re going to know its Pebble Beach’s birthday,” said Steimer, noting that those marketing efforts are in the works now and that it was in 2000 that Pebble Beach, in turn, helped the USGA hold their 100th U.S. Open Championship. “To be able to tell that story and the history of Pebble Beach is what it means to reciprocate,” he said. 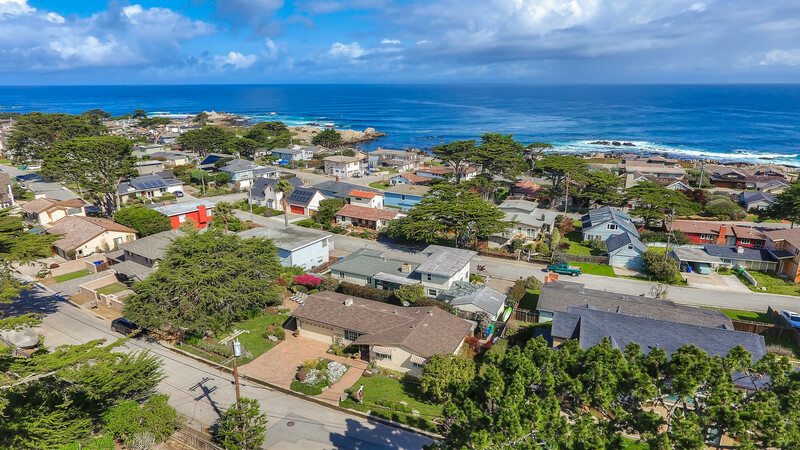 If you’re looking to purchase a second home and have your sights set on Monterey Peninsula, you should know that there is an abundance of options here that many are unaware of. 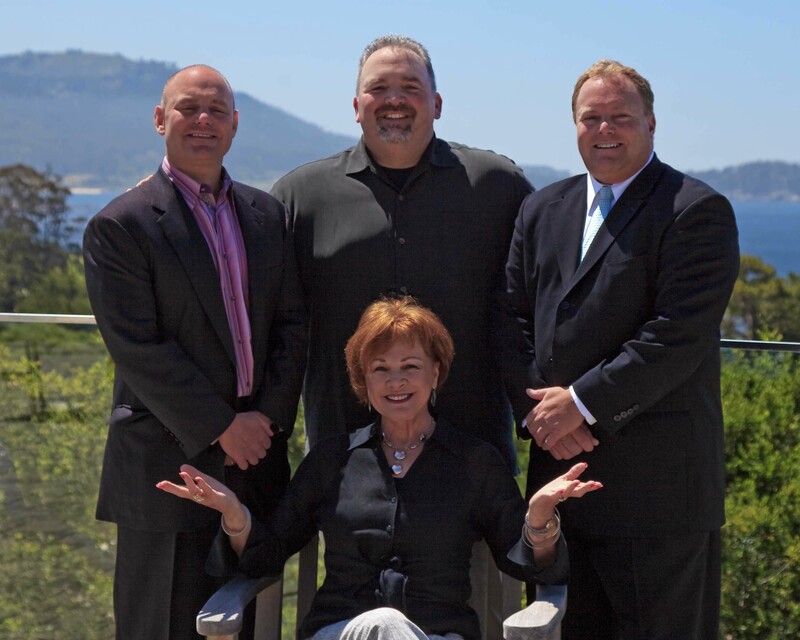 The first thing the Monterey Peninsula Home team will do for you as a buyer looking in our area is drive you around the neighborhoods. The Old Retreat—Near the downtown area, the Old Retreat has the most Victorian homes per capita than any other city in America. Asilomar—This area sports huge lots. Carmel is similar to Pacific Grove in that respect. Everyone thinks they want to live in the Golden Rectangle area of Carmel until they realize that it’s very expensive and the homes are relatively small. Carmel Point affords homebuyers more privacy, as it’s set away from much of the summer traffic the area is likely to get. Secondly, we can have a discussion about property taxes. Fortunately or unfortunately, depending on how you feel about it, property taxes are really very simple in Monterey Peninsula. Currently, the property tax is at 1.25% of the sales price of the home, and unless Proposition 13 is modified, no community will change that rate. To live in Monterey Peninsula, you’ll need to think about the lifestyle you want to lead. Even just within the peninsula, there are microclimates. Depending on where you are during the summer, you might expect the beach areas to be sunny and warm, but it actually might more often be foggy and cool. This may be a good or a bad thing for you—we often get buyers from hot areas coming here to escape the heat, but many people come with the expectation of sunny beaches and are soon disappointed. Additionally, think about your preferences for travel. If you’re a fan of being able to walk around and enjoy the downtown area, you’ll want to choose an area close by. Other areas with larger lots may suit your style better, but they’ll be some distance away from downtown, so you’ll need to drive. The variability of Monterey Peninsula is one of its greatest charms, but it also means that you’ll need to take a number of things into consideration before buying a home here. That’s why we invite you to come out and take a tour with us; we can show you around before you begin your in-depth search for a home and tell you about certain factors that will help you make a good decision about where to buy. If you have any questions in the meantime, don’t hesitate to reach out to us. We’d be glad to hear from you. With the AT&T Celebrity Pro-Am was again upon us, it seems fitting to look at the young up-and-coming golfers that have dreams of someday playing in the tournament themselves. That’s why after 24 years as the AT&T Pebble Beach Junior Golf Association’s executive director, it’s also appropriate to acknowledge the recent retirement of Linda Tunney. The announcement was made inadvertently at a recent reception dinner and awards ceremony that took place at Monterey Peninsula Country Club celebrating 30 years of junior golf. The event, which also served as a fundraiser in conjunction with the TaylorMade Pebble Beach Invitational, honored CBS Sports commentator Jim Nantz as 2018’s golf ambassador of the year and Brad Cursio as PGA golf professional of the year. It was also Tunney’s last big event serving as the association’s executive director. Tunney, 75, said it was time for her to spend more time with her family and to devote efforts to her campaign to raise awareness and funds associated with Parkinson’s disease. Tunney’s daughter has early onset of Parkinson’s disease. Tunney, who is the wife of former National Football League official Jim Tunney, was first hired part-time by Pebble Beach Academy Director of Instruction Laird Smith in 1995 to work for the local nonprofit organization. It was created in 1988 to introduce the game of golf to young people between the ages of 6 and 17 who live and attend school in Monterey County. Since its inception, the association has gained approximately 1,300 junior golfers who have benefited from the various activities and scholarships it offers. She said the program has been a meaningful and huge part of her life as she’s watched and been part of the lives of hundreds of junior golfers helping them develop their golf skills and personal characteristics for almost 24 years. “The most important thing is watching the children go through the program and a lot of them receive scholarships, go on to college and even become pros. So it goes full circle,” she said. PGA professional Justin Russo, who founded the Justin Russo Golf Academy in 2014 and was the first recipient of the AT&T Pebble Beach Junior Golf scholarship of $5,000 in 1993, said that if it weren’t for her influence, he wouldn’t be in the profession. “She was very active in introducing me to the local professionals like RJ Harper and producing a bond that facilitated what I do today,” he said. Today, the AT&T Pebble Beach Junior Golf Association has six scholarships including the RJ Harper Memorial Scholarship, the Payne Stewart Memorial Scholarship and the Johnny Miller Memorial Scholarship. During Tunney’s tenure, nearly $1 million in scholarship money has been granted. She was inducted into the Northern California PGA Hall of Fame with the Jim Langley Award for professionalism and leadership. Marc Pritchard, president of the association’s board of directors, credited the Tunneys with an ability to get support for the program from the heavy hitters in the community. “It’s their absolute commitment to this area and the kids. What they do is out of the goodness of their hearts and desire to make sure the kids in this area have a chance to go into golf,” he said. Pritchard noted the numerous kids who have gone on to play golf in college because of the scholarships that are given out. “Last year, one student played golf at Harvard, another at Brown and the year before, one at another Ivy League school. It’s phenomenal what we get with these folks,” said Pritchard.